You are at:Home»iPhone»My iPhone Is Disabled. 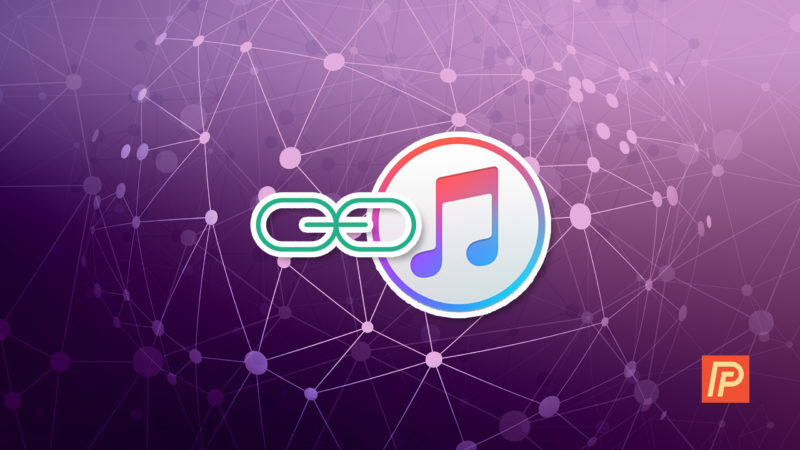 Connect To iTunes? Here’s The Fix! iPhones get disabled for all sorts of reasons, and most of the time it’s an accident. You didn’t forget your iPhone passcode. Thieves usually won’t even try to figure out your passcode — they’ll just erase your iPhone or sell it for parts. That’s what makes this problem so frustrating. In this article, I’ll explain why your iPhone is disabled and says connect to iTunes, how to fix the problem, and explain the most common reasons why iPhones become disabled so you can prevent it from happening again. Why Do iPhones Become Disabled? Kids. Kids love iPhones and they love pushing buttons. Timmy gets upset when the buttons stop working and Mommy isn’t happy that her iPhone is disabled. Snoopers. Friends and family members don’t always realize they don’t have an unlimited number of guesses to figure out your iPhone passcode. How Many Guesses Do I Have Before My iPhone Becomes Disabled? I’m Not Good With The iPhone Keypad. Can I Disable My iPhone By Accident? No. 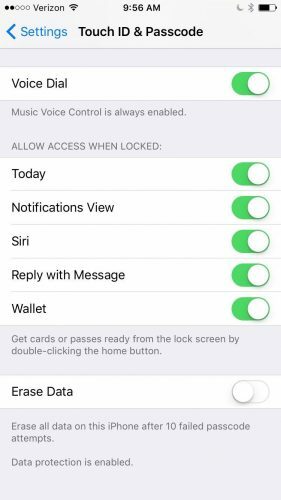 It’s hard to accidentally disable an iPhone, and here’s why: You can enter the same incorrect passcode an unlimited number of times and it only counts as 1 incorrect passcode attempt. Let’s look at an example. You’re at a wedding and you really need to know who won the football game, but your wife won’t be happy if she discovers you care more about your fantasy football team than her second cousin’s wedding vows. You try to enter your passcode without looking at your iPhone, but it’s not working because you’re entering 1536 instead of 1539, over and over again. Is your iPhone disabled? No. Your iPhone will only become disabled if you enter 6 different incorrect passcodes. Can I Unlock My iPhone After It Is Disabled? Unfortunately, the answer is no. 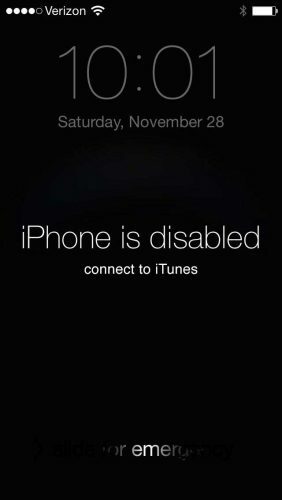 Once your iPhone says “iPhone is disabled. Connect to iTunes”, there is nothing you can do to unlock it. People sometimes think Apple Stores have special tools that can unlock disabled iPhones, but they don’t. The only thing you can do is completely erase your iPhone and start over. The good news is that you can restore from the last backup your made before your iPhone became disabled. If you’ve backed up your iPhone to iTunes or iCloud, you’ll be able to restore your data after you erase your iPhone. After your iPhone is disabled, however, there is no way to back up the current data on the device. If you don’t have a backup, you’ll have to set up your iPhone from scratch. How Do I Erase My iPhone If It Is Disabled? You can erase your iPhone using iTunes or iCloud, but I recommend using iTunes because it always works if you do it the way I describe. If you use iCloud, you need to know your Apple ID and password, and your iPhone has to be connected to the internet. Using iTunes is the simplest, easiest way, but I’ll describe how to do both. Apple’s support article recommends an unnecessary, overcomplicated trial-and-error process of determining which restore method to use based on the kind of relationship your iPhone had with your computer before it was disabled. Just move on if you didn’t understand that — that’s why I say it’s too complicated! There is absolutely no downside (in fact, there may be benefits) to erasing your iPhone the way I recommend, and it always works. The type of restore I recommend when your iPhone is disabled is called a DFU restore. I wrote an article that describes exactly how to DFU restore your iPhone. Follow the instructions in that article (it’s easy!) and come back here when you’re done. Skip to the section called Set Your iPhone Up Again after you use iTunes to begin the DFU restore. 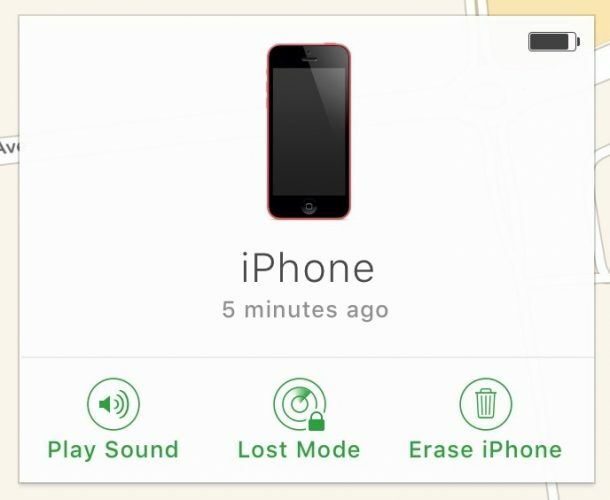 If your iPhone was signed into iCloud and you had Find My iPhone turned on before it was disabled, you can use Find My iPhone to erase your iPhone. You need to sign in with your Apple ID and password, choose your iPhone from the All My Devices dropdown menu, and choose Erase iPhone. Continue to the next section after your iPhone finishes erasing. After you restore your iPhone with iTunes or erase it using iCloud, the way to proceed depends on whether you have an iTunes backup, iCloud backup, or no backup. Follow these instructions after you see the white Set Up screen on your iPhone. If the screen is dark and you’re not sure if the restore is finished, press the Home button on your iPhone. If you see the Set Up screen, move on. If you backed up your iPhone to iCloud before it was disabled and you used iTunes to DFU restore your iPhone, unplug your iPhone from your computer. (It’s already unplugged if you used iCloud to erase your iPhone). Choose Restore from iCloud Backup during the setup process on your iPhone. If you backed up your iPhone to iTunes before it was disabled and erased it using iCloud.com, choose Restore from iTunes backup during the setup process. If you restored your iPhone using iTunes, choose to restore from your iTunes backup using the Set Up screen in iTunes. Your iPhone is up and running and you’ve learned the common reasons why iPhones get disabled in the first place. If your iPhone is disabled again, you know exactly how to fix it. If you’d like to leave a comment, I’m interested to how your iPhone was disabled in the comments section below. Previous ArticleShould I Buy A Refurbished Macbook Pro, iPad Mini, iPad Air, or Apple Product?